Shop Pioneer RMX1000 Remix Station DJ Effects Controller from AMS with 0% Interest Payment Plans and Free Shipping. 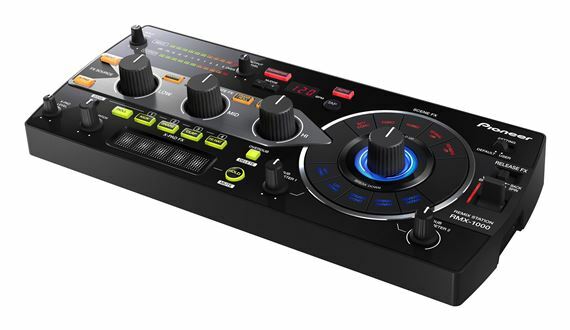 The Pioneer RMX1000 Remix Station Performance DJ Controller is an innovative technologically advanced device for enhancing DJ performances with its ability to create and add a variety of unique remix effects, as well as rhythmic sampling capabilities. The Pioneer RMX1000 incorporates four remixing functions: Isolate FX, Scene FX, X-Pad FX and Release FX for simple musical arrangements with intuitive control, all accessible at the user's fingertips. 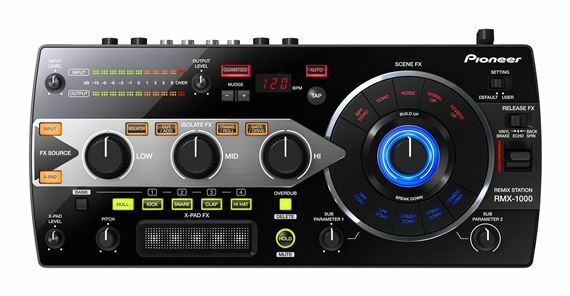 The RMX1000 comes with Pioneer's remixbox editor software for customizing almost every function and feature of the unit, while the hardware itself can be used as a USB controller to perform with the included VST/AU RMX1000 Plug-in. I started djing few weeks ago and I loving it. I wanted to expand my djing skill so I got me the RMX-1000 and I can't complain is a powerful tool, come packed with a lot of features and is very responsive. Great Addition to My DJ Rig! I watched all of the video reviews on YouTube as I wanted to add more effects to my set up. I love the feel of the knobs. The extra beats you can make over the actual music being played is great for accenting what you want and I love the control of the effects. The spin out feature is my go to when I need to release the effects. This is just a great addition to anyone looking to manipulate music whether as a DJ or Music Producer for live and recording applications. It is a stand alone product so you don’t have to worry about having pioneer equipment or not. Even if you don’t have a send/return channel you can just send your output to this station and have the station output sent to your mixer or speakers. Definitely a hot item.. I love it!! This is a great addition to my Dj set.. works great and definitely would recommend it to all my DJ colleagues. Great for creating effects, only thing no head phone jack and no midi in or out. Must use USB. Otherwise, this unit rocks. The RMX1000 is made well, all the knobs and buttons feel smooth and durable. It has a lot of great features. All the effects are great. Love the 3 band isolator and all the options it has. I like the fact that you can use your own sounds and effects via SD card and that you can use it as a controller via USB. Although i would have liked to have the option of looping and sampling aswell with this unit. The RMX1000 is extremely easy to use. Just hook up, turn on and you're ready to go. This thing sounds very good, even better than the EFX500. The RMX1000 is a great addition to any DJ's set up. The RMX1000 is cheaper than the EFX 1000 and it offers more. Grundorf AT5422 Adjustable Height Carpeted Table 54" x 22"